UltraMAX™ integrates UV lamps, power supply and microprocessor control into a single, balanced UV system that is designed for state-of-the-art performance in HVAC mold treatment and airborne microorganism reduction. UltraMAX™ is a totally integrated UV system: each component-power supply, microprocessor and lamp system is specifically designed as a complete system. 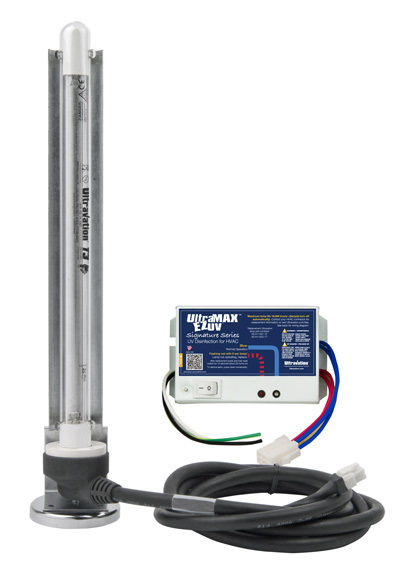 And UltraMAX™ is built on a single, double layer circuit board-it's WIRELESS! The UME-Series offers the finest in UV lamp technology combined with an electronic power supply for outstanding disinfection performance. 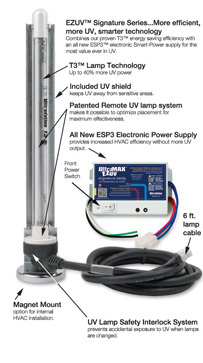 Integrated lamp models feature U shaped UV lamps that optimize UV intensity in hard to reach spaces. Remote lamp models feature Ultravation's T3 lamp optimization technology and allow for optimal lamp placement maximizing indoor air quality improvement. An UltraMAX™ EZUV™ Signature Series air treatment system combines our proven T3™ energy saving efficiency with an all new ESP3™ electronic Smart-Power supply for the most value ever in UV. 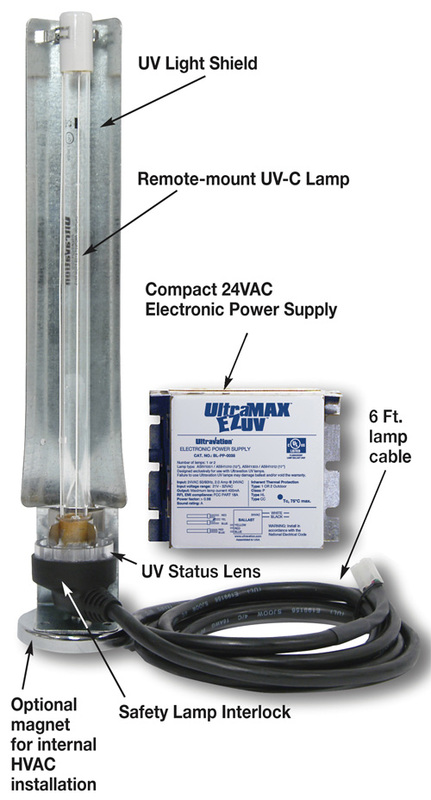 Low voltage (24VAC) — No electrical outlet required. 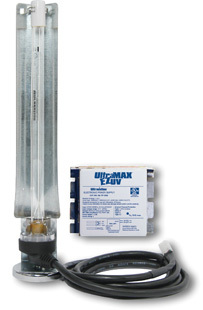 Install in new HVAC systems to keep them like new. 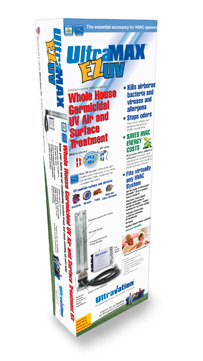 Install in problematic HVAC systems to reduce biological contamination and make the air healthier. Keeps HVAC systems cleaner by preventing growth of bio-contamination. 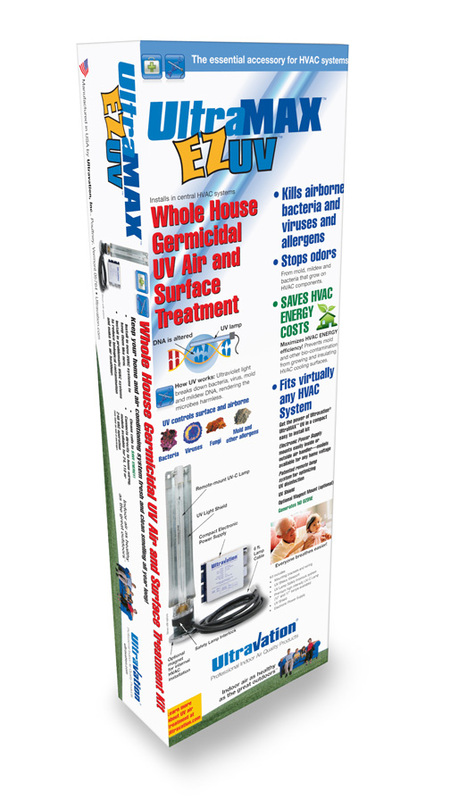 Kills airborne bacteria and viruses. 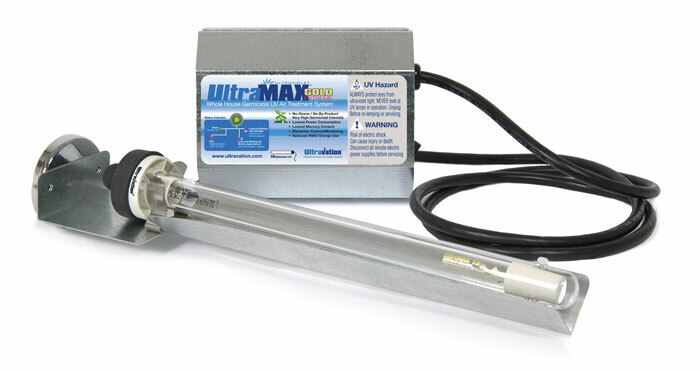 Stops odors from mold mildew and bacteria that grow on HVAC Components..
Electronic Power Supply mounts easily inside or outside air handler. 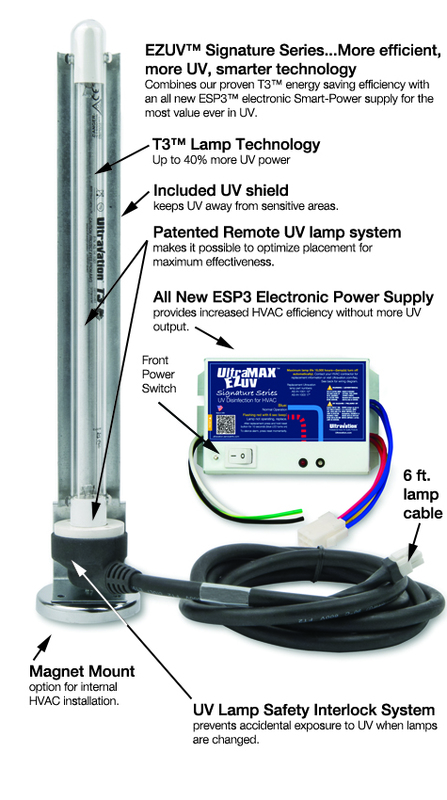 Patented remote lamp system for optimizing UV air disinfection. 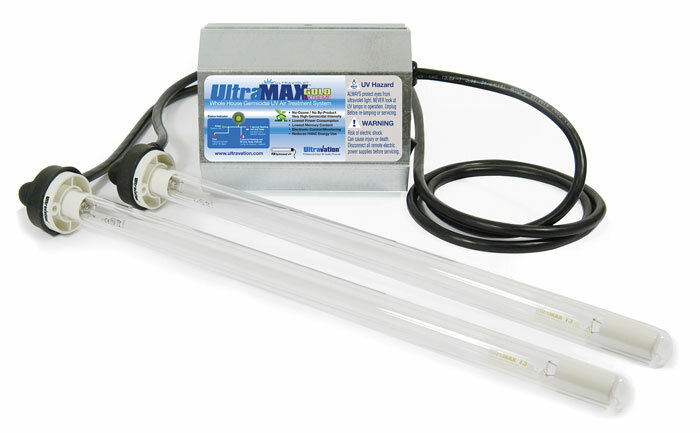 A T3™ system encases UV lamps in special UV transparent quartz glass. 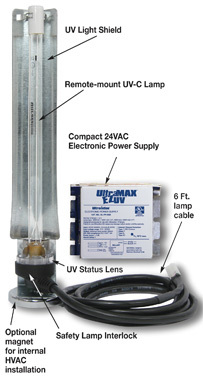 The quartz enclosure and gas inside the chamber insulates the actual lamp from the cold HVAC air passing by, allowing the lamp operate at a higher, more optimum temperature. 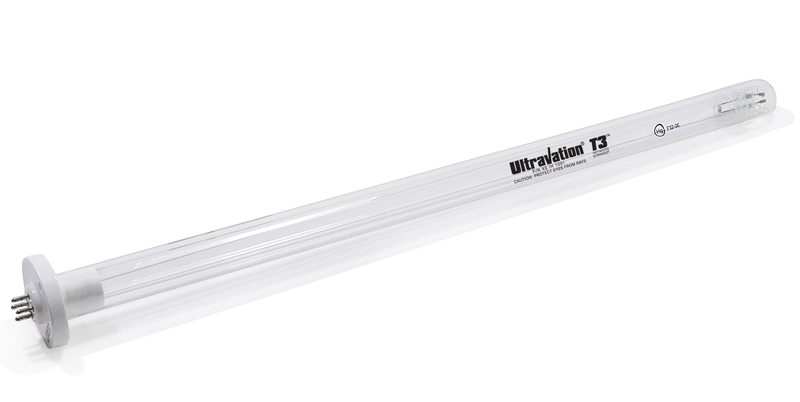 T3™ enhances the positioning of Ultravation's remote lamp equipment and delivers more germ and mold killing UV at the target. 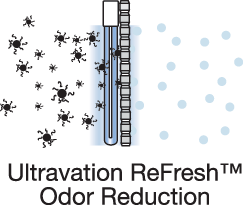 Add Ultravation's exclusive formulation ReFresh™ photocatalyst odor reduction module, powered by UV light. It employs nanotechnology to break down hundreds of household odors (VOCs) resulting from common activities like cooking and painting. 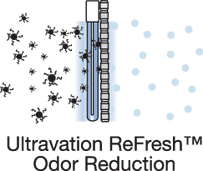 Even cigarette smoke and pet smells are transformed into harmless components. 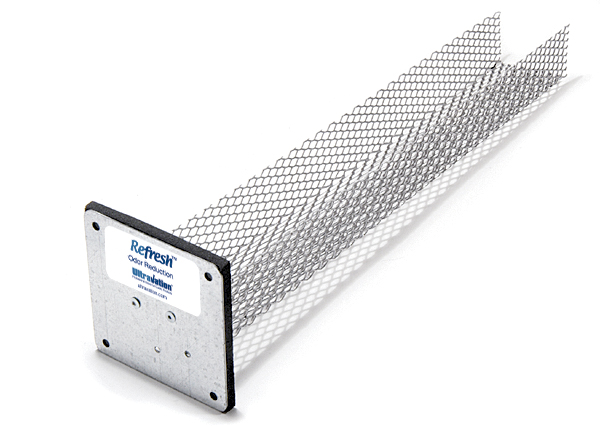 The Refresh™ module simply inserts next to the UV lamp so having fresher air in your home is very easy! And a ReFresh™ module typically lasts five years! Below are various logos for download for both web and print applications. If you need an image with higher resolution or have other artwork requirements, please contact us directly via email.